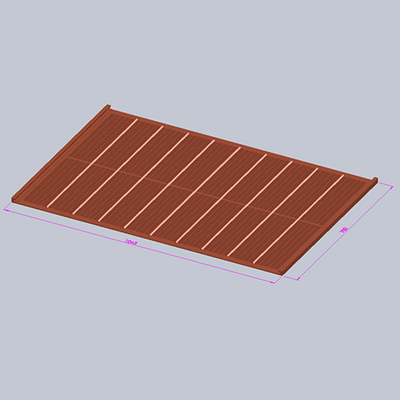 Polyurethane Screen Mesh - Buy Polyurethane Screen Mesh Product on Hebei Reking Wire Mesh Co.,ltd. Vibrating screen is a type of vibrating screen developed by Derrick company in the United States. It is a type of vibrating screen specially designed for high efficient sieving of wet materials such as pulp. 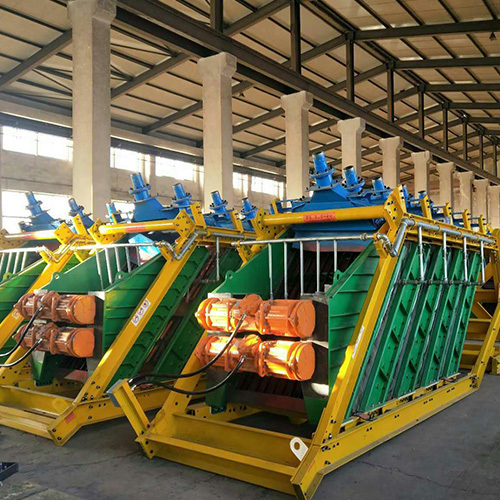 The Derrick vibrating screen is different from the ordinary vibrating screen that there is only one independent frame for screening, and the Derrick shaker screen has multiple sieve frames, and there are generally five sieve frames, and these five frames also work independently at the same time. Slurry is evenly divided into five routes from the separator to the feeder. The feeder sprinkles the slurry on the sieve surface, and after the material passes through the vibration of high frequency and small amplitude, the fine material moves gradually to the bottom of the material layer through the sieve screen to complete the screening. Derrick vibrating screen is mainly used for slurry screening, mainly nitrate, phosphate, iron ore, feldspar, garnet, gypsum, kaolin, aluminum slag, copper, lead, zinc, tin, titanium, tungsten, rare earth ore, Resin particles and other materials. 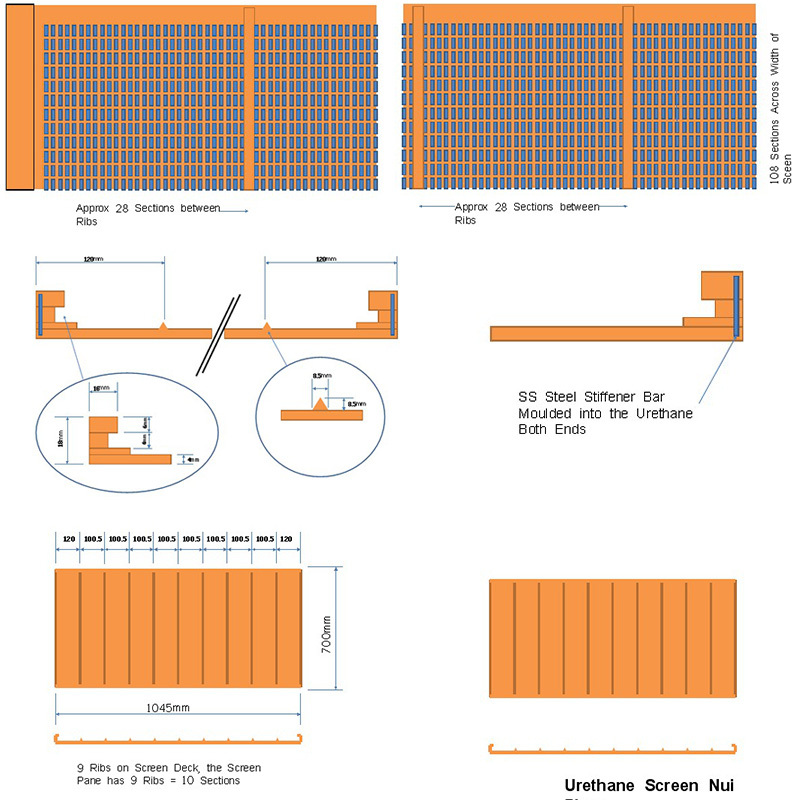 Firstly, the design of the five frames of Derrick vibrating screen at the same time greatly increases the screening area of the vibrating screen, which is equivalent to that of several ordinary sieve machines working simultaneously, and greatly improves the efficiency and processing capacity of the screening. Secondly, the five frames of the Derrick vibrating screen are superimposed, which is equivalent to merging the occupation area of the five screen machines into the occupied area of one screen machine, which makes the whole vibrating screen more compact and more flexible to the layout of the production site. Thirdly, the special ore separator is used to separate the ore and feed the ore feeder, so that the material can spread evenly on the screen surface under the premise of ensuring the large output, thus reducing the impact of the pulp flow speed on the screen mesh and increasing the service life of the screen net. Fourthly, the Derrick vibrating screen adopts polyurethane screen with high opening rate, high blocking rate and good quality. Fifthly, the vibration frequency of Derrick vibrating screen is frequency conversion design, which can effectively control the particle size of the vibrating screen material. 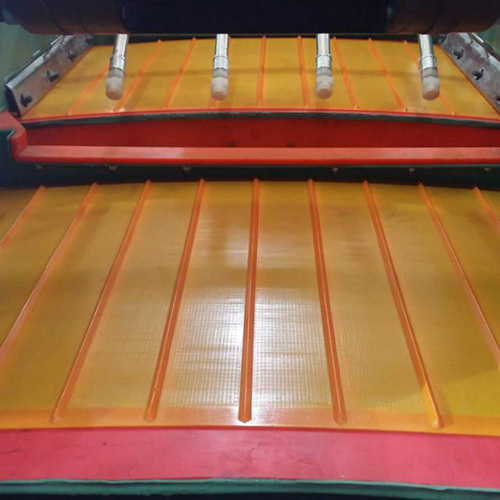 Finally, the surface of Derrick vibrating screen is treated by special spray glue, which can effectively increase the corrosion resistance and wear resistance of Derrick vibrating screen.